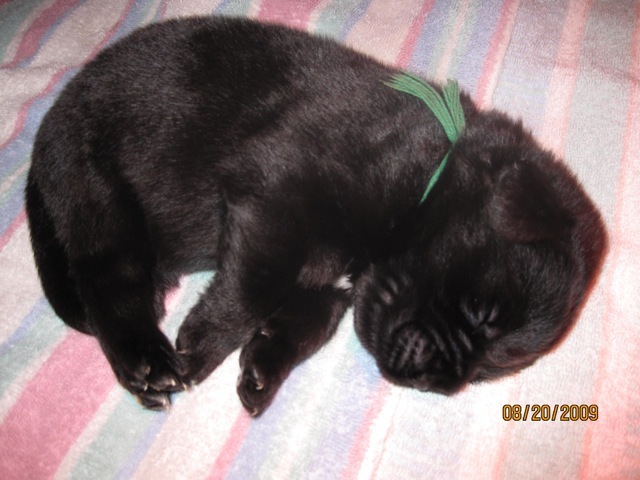 We would highly suggest visiting if you are looking to get a puppy. We would love to meet you and show you our dogs. All our dogs are registered with the Canadian Kennel Club (CKC) and have been tested and received their health clearances. General things we test are: OFA Heart, Elbows, Hips, Patellas, Cystinura, DNA Profile. Of course the number one thing we breed for is temperment. This is most prominant feature of a good Newfoundland. 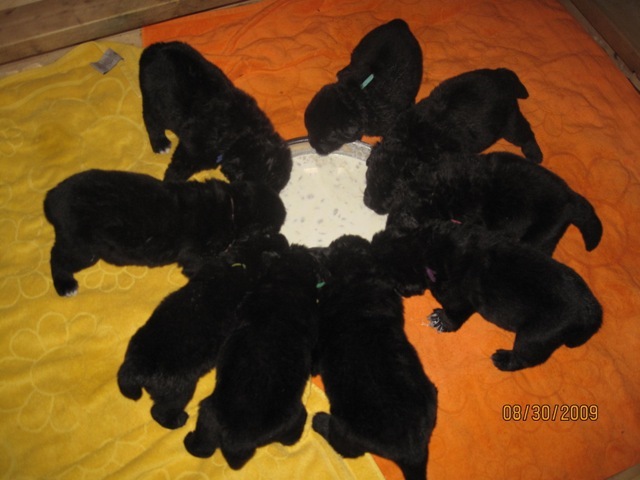 We generally have a litter every year but sometimes this doesn't happen. It is best to call or email to see what we are doing in this regards. Don't buy a Newfoundland if you are attracted to the breed chiefly by its appearance. Don'y buy a Newfoundland if you lack leadership. 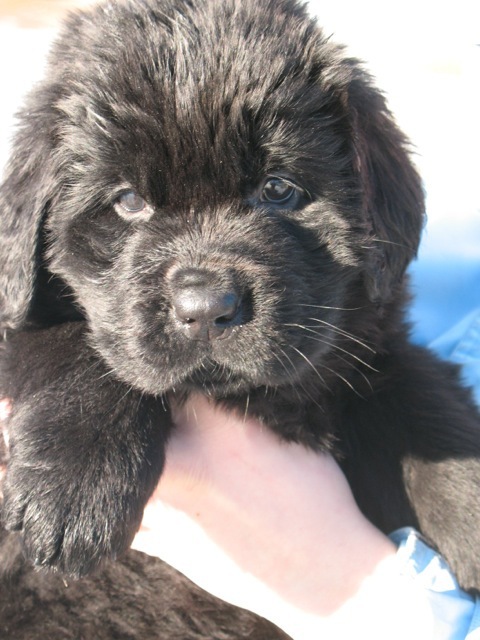 If all the preceding "bad news" about Newfies hasn't turned you away from the breed, then by all means DO GET A NEWF! They are every bit as wonderful as you have heard! If buying a puppy, be sure to shop carefully for a *responsible* and *knowledgeable* breeder who places high priority on breeding for sound temperament and trainability, and good health in all matings. Such a breeder will interrogate and educate potential buyers carefully. Such a breeder will continue to be available for advice and consultation for the rest of the dog's life and will insist on receiving the dog back if ever you are unable to keep it. 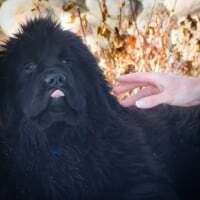 However as an alternative to buying a Newfie puppy, you may want to give some serious consideration to adopting a rescued Newf. 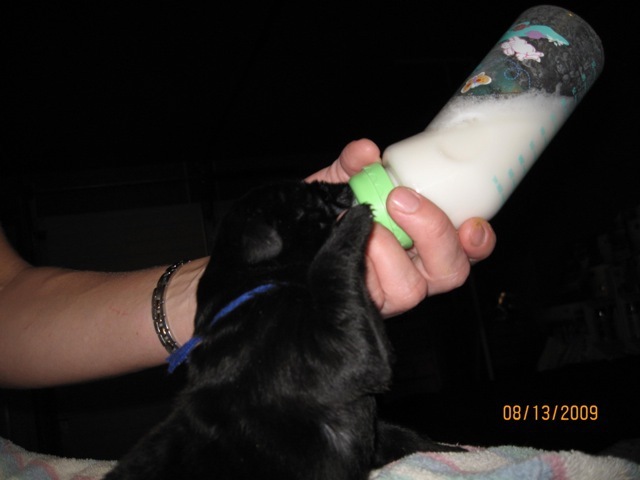 Despite the responsibility of their previous owner, almost all rescued Newfs have proven to be readily rehabilitated so as to become superb family companions for responsible and affectionate adopters.